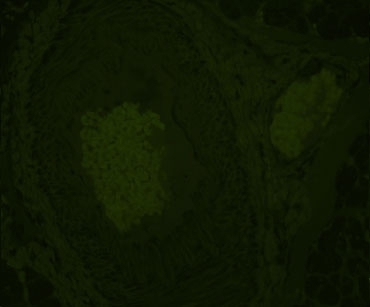 In tissue sections, autofluorescence is the unwanted fluorescence that can make it difficult or impossible to distinguish antigen-specific signal from non-specific background. 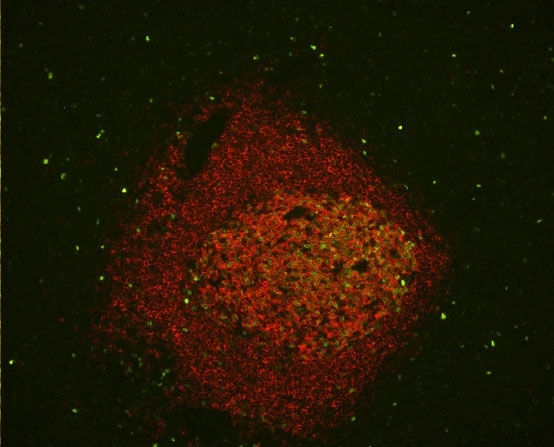 The novel, patent-pending Vector® TrueVIEW™ Autofluorescence Quenching Kit specifically binds and quenches autofluorescent elements from non-lipofuscin sources, significantly enhancing signal-to-noise in most immunofluorescence assays. 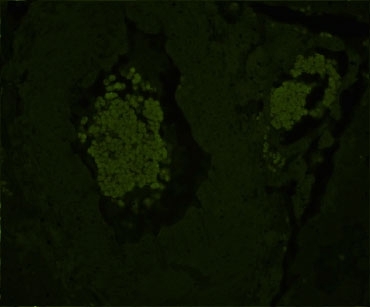 Reduction of autofluorescence in human spleen using the TrueVIEW™ Autofluorescence Quenching Kit. 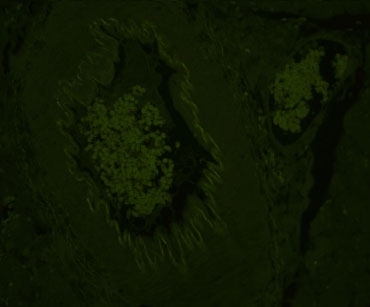 Human spleen sections (FFPE) stained using mouse anti-CD20 (red) and rabbit anti-Ki67 (green) primary antibodies detected with VectaFluor™ Duet kit (DK-8818). Note significant reduction of autofluorescence in the treated section. 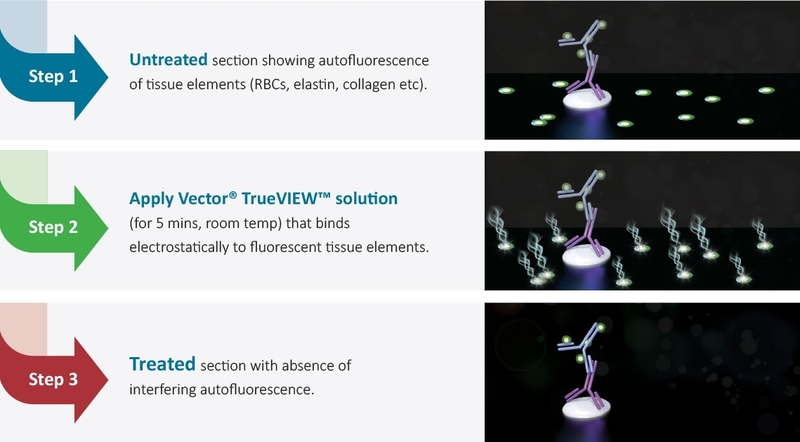 Our customers have great things to say about the Vector® TrueVIEW™ Autofluorescence Kit! 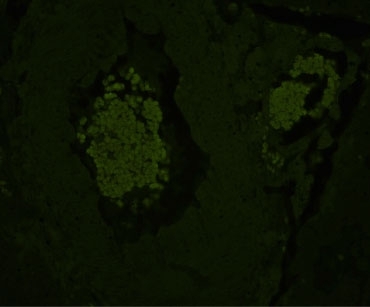 Whereas most methods for reducing tissue autofluorescence act primarily on lipofuscin granules, the Vector® TrueVIEW™ quencher targets fluorescence from non-lipofuscin sources, including aldehyde fixation, red blood cells, and structural elements, such as collagen and elastin. 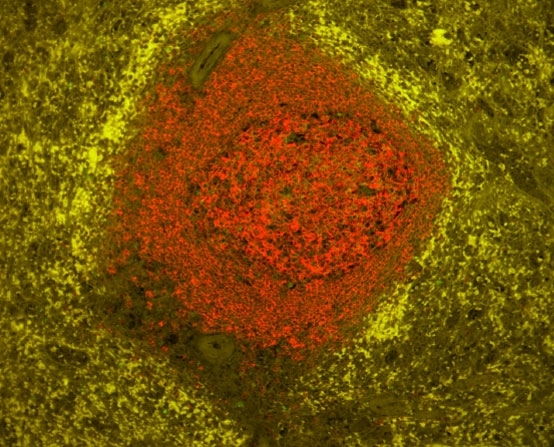 It provides a clear, unambiguous “true view” of target antigen localization, even in problematic tissues, such as kidney, spleen and pancreas. 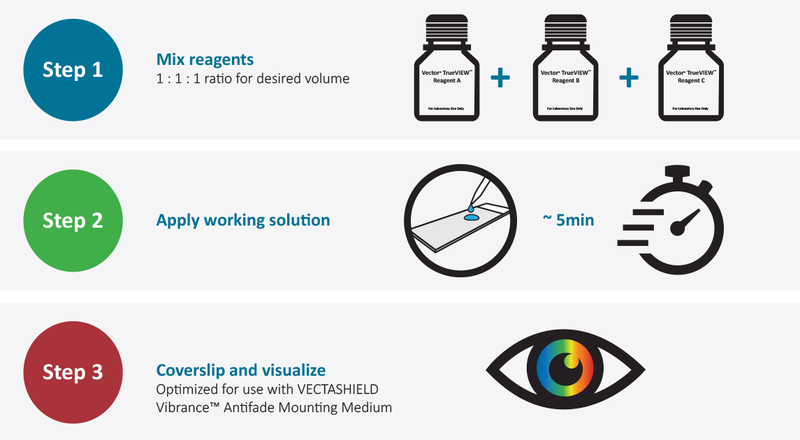 Comparisons with other commercials and “home brew” approaches show that Vector® TrueVIEW™ is easier to use and more effective. 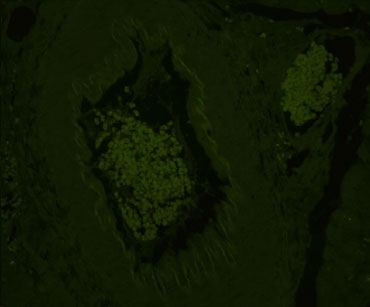 The images below show the results of side-by-side comparisons on serial sections of formalin-fixed, paraffin embedded human pancreas visualized using a standard fluorescein (green) filter. 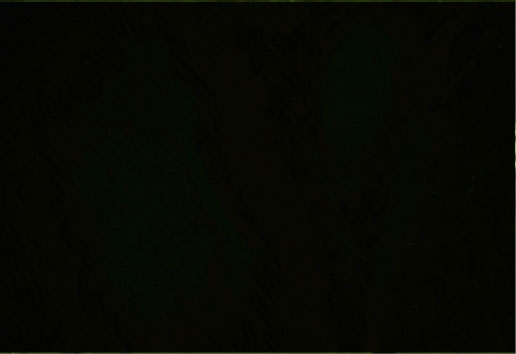 No specific immunofluorescence staining was conducted. 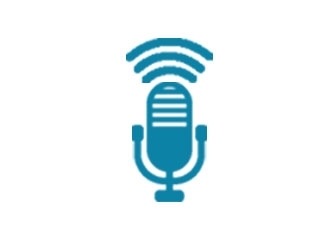 LISTEN to the podcast by Timothy Karpishin, PhD, Director of Chemistry at Vector Laboratories, Inc. describing TrueVIEW™ Autofluorescence Quenching Kit at the 43rd Annual NSH Symposium/Convention. 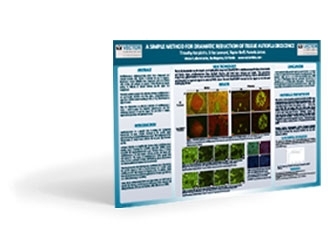 DOWNLOAD the poster describing TrueVIEW™ Autofluorescence Quenching Kit presented at the 43rd Annual NSH Symposium/Convention. 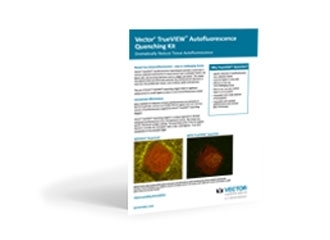 Learn more about the Vector® TrueVIEW™ Autofluorescence Quenching Kit by downloading the brochure.